A minor scrap between Channel 4's political correspondent Michael Crick and royal comms secretary Kristina Kyriacou was sensationalised by the media, a Clarence House source has told PRWeek. Crick attempted to doorstep the Prince of Wales and ask him about the publication of the ‘black spider’ memos, at a Prince's Trust event. In an attempt to elicit a response from Prince Charles, Crick ended up barging Kyriacou out of the way. Media coverage following the incident suggested it was Kyriacou who initiated contact because Crick’s microphone cover was pulled off. "Mr Crick turned up unaccredited and positioned himself on the pavement in a better position than the journalists on the rota. He was asked to move back and knew that no questions would be answered but when the Principal arrived he still chose to lobby questions and lunge forward regardless," the source told PRWeek. "The media coverage was grossly exaggerated. The microphone was not broken or flung to the ground – the cover came off – and, in the longer form of the video, it can be seen that it is in fact Mr Crick who pushes the communications secretary." 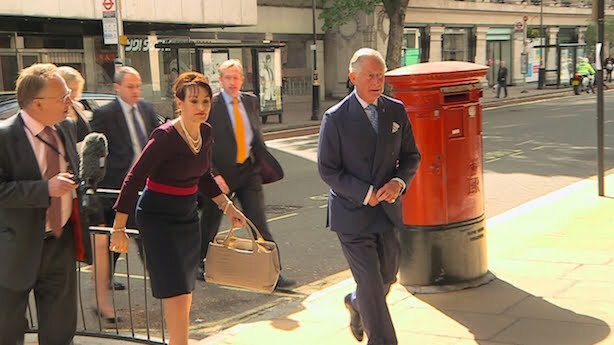 The source said Channel 4 is not accredited on the rota, which is a pooling system developed by the media to attend royal events. No calls were placed by the news outlet to request an interview on the day of the event, the source added. "The royal PR team covers approximately six or seven engagements a day, trying its utmost to be helpful in facilitating shots and media content, and happily nearly every engagement passes without incident," the source added. Clarence House declined to offically comment on the incident.